Сервер 1-процессорный Dell PowerEdge R220 E3-1240v3 NHP Rack(1U)/4C 3.4GHz(8Mb)/ 1x4Gb UDIMM (1600)/H310 SATA/SAS/RAID/1/0/ noHDD up to 2 LFF NHP cable/noDVD/iDRAC7 Exp/2xGE/1xPS250W/Bezel/ Static Rails/no ARM/3YBWNBD ..
Сервер 1-процессорный Dell PowerEdge R220 Pentium G3430 NHP Rack(1U)/2C 3.3GHz(3Mb)/ 1x4Gb UDIMM (1600)/S110 on Board SATA/RAID/1/0/noHDD up to 2 LFF NHP cable/noDVD/iDRAC7 Exp/2xGE/1xPS250W/Bezel/ Static Rails/3YBWNBD ..
Сервер 1-процессорный Dell PowerEdge R220 E3-1220v3 NHP Rack(1U)/4C 3.1GHz(8Mb)/ 1x4Gb UDIMM (1600)/S110 on Board SATA/RAID/1/0/noHDD up to 2 LFF NHP cable/noDVD/iDRAC7 Exp/2xGE/1xPS250W/Bezel/ Static Rails/no ARM/3YBWNBD ..
Сервер 1-процессорный Dell PowerEdge R220 E3-1241v3 NHP Rack(1U)/4C 3.5GHz(8Mb)/ 1x4Gb UDIMM (1600)/H310 SATA/SAS/RAID/1/0/ noHDD up to 2 LFF NHP cable/noDVD/iDRAC7 Exp/2xGE/1xPS250W/Bezel/ Static Rails/no ARM/3YBWNBD ..
Сервер 1-процессорный Dell PowerEdge R220 E3-1241v3 NHP Rack(1U)/4C 3.5GHz(8Mb)/ no memory(4)/ S110 on Board SATA/RAID/1/0/ noHDD up to 2 LFF NHP cable/noDVD/iDRAC7 Exp/2xGE/1xPS250W/Bezel/Static Rails/no ARM/3YBWNBD. ..
Сервер 1-процессорный Dell PowerEdge R220 E3-1271v3 NHP Rack(1U)/4C 3.5GHz(8Mb)/ no memory/H310 SATA/SAS/RAID/1/0/ noHDD up to 2 LFF NHP cable/DVD/iDRAC7 Exp/2xGE/1xPS250W/Bezel/Static Rails/no ARM/3YBWNBD. ..
Сервер 1-процессорный Dell PowerEdge R220 Pentium G3430 NHP Rack(1U)/2C 3.3GHz(3Mb)/ 1x4Gb UDIMM (1600)/S110 on Board SATA/RAID/1/0/noHDD up to 2 LFF NHP cable/noDVD/iDRAC7 Exp/2xGE/1xPS250W/Bezel/Static Rails/3YBWNBD ..
Сервер 1-процессорный Dell PowerEdge R220 E3-1220v3 NHP Rack(1U)/4C 3.1GHz(8Mb)/ 1x4Gb UDIMM (1600)/S110 on Board SATA/RAID/1/0/noHDD up to 2 LFF NHP cable/noDVD/iDRAC7 Exp/2xGE/1xPS250W/Bezel/Static Rails/no ARM/3YBWNBD ..
Сервер 1-процессорный Dell PowerEdge R320 1U no HDD caps/ no CPU/ no memory/ H310/RAID/1/0/5/10/50/ no HDD(8)SFF/DVD/iDRAC7 Exp/2xGE/ no RPS(2up)/Bezel/Static Rails/ no ARM/PCI-E: 1xF+1xL/3YBWNBD. ..
Сервер 1-процессорный Dell PowerEdge T20 E3-1225v3 Tower/4C 3.2GHz(8Mb)/1x4GbU2D(1600)/ On-board C226 SATA(2x3Gb/s+2x6Gb/s) RAID0/1/ 1x1Tb SATA 7.2k LFF/ UpTo4LFF NHP/ UpTo2SFF NHP/noDVD/1xGE/PS250W/1YBWNBD ..
Сервер 2-процессорный Dell PowerEdge R420 1U no HDD caps/ no CPU(2)/ no memory(2x6)/H310/RAID/1/0/5/10/noHDD(4)LFF/noDVD/iDRAC7 Ent/2xGE/no RPS(2up)/Bezel/Sliding Rails/no ARM/PCI-E: 1xF+1xL/3YBWNBD/no Riser/noFan2-nCPU. ..
Сервер 2-процессорный Dell PowerEdge R420 1U no HDD caps/ no CPU(2)/ no memory(2x6)/H310/RAID/1/0/5/10/noHDD(4)LFF/noDVD/iDRAC7 Ent/2xGE/no RPS(2up)/Bezel/Sliding Rails/ARM/PCI-E: 1xF+1xL/3YBWNBD/no Riser/. 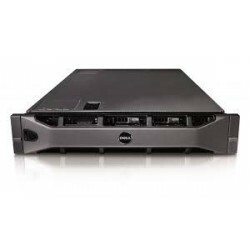 ..
Сервер 2-процессорный Dell PowerEdge R420 1U no HDD caps/ no CPU(2)/ no memory(2x6)/ H310/RAID/1/0/5/10/noHDD(8)SFF/ noDVD/ iDRAC7 Ent/2xGE/ no RPS(2up)/ Bezel/ Sliding Rails/ no ARM/PCI-E: 1xF+1xL/3YBWNBD/no Riser/. ..
Сервер 2-процессорный Dell PowerEdge R420 1U no HDD caps/ no CPU(2)/ no memory(2х6)/ H710 512Mb/RAID/1/0/5/10/6/60/ noHDD(8)SFF/noDVD/ iDRAC7 Ent/2xGE/no RPS(2up)/Bezel/ Sliding Rails/no ARM/PCI-E: 1xF+1xL/3YBWNBD/noRiser. ..
Сервер 2-процессорный Dell PowerEdge R430 Rack(1U)/ 1xE5-2609v3/ 1x8Gb RDIMM(2133)/ H330/ 1х1Tb SATA 7.2K SFF/ UpTo(8)SFF/ DVDRW/ iDRAC8 Ent/ 4xGE/ 1xRPS550W(2up)/ Bezel/ Sliding Rails/ ARM/ 3YBWNBD ..